The Presto Pay Challenge is underway. Although off to a slow start, 4th grade is in the lead. Remember this contest tracks the total amount of Scrip purchased by family and then each of your kids get credit for the purchase for the contest. This is done on a percentage of kids in the glass to make it more fair for the classes with fewer kids. With more snow in the forecast, this is an easy way to do your shopping from your couch. Contest Details: Earn a Free Dress Day for your student’s class and have fun shopping. What could be better? 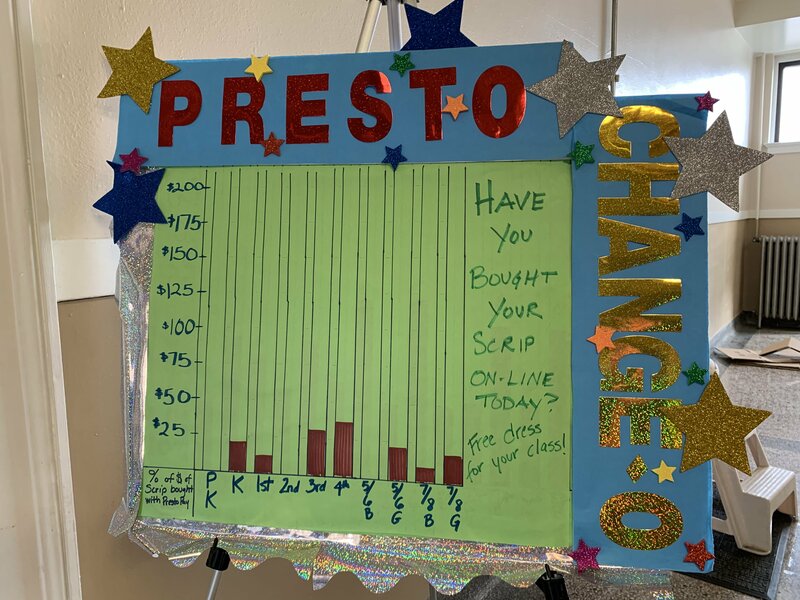 Use Presto Pay to purchase Scrip during the month of February and you will help your child’s class win a Free Dress Day. You can use Presto Pay to purchase groceries, coffee, Amazon and so, so much more. Browse the available retailers at ShopwithScrip.com and then click on the PrestoPay! icon to make your purchase. Happy Shopping and better still, raising money for St Als. Contact Mija Hamilton at mija@windermere.com for more info.